Welcome to the Bookkeepers Professional Liability E&O insurance program, underwritten by Liberty International Underwriters. This insurance program was specifically designed to provide Bookkeepers with a comprehensive E&O policy at an affordable rate. Optional tax preparers coverage can also be added to this policy if required. Do bookkeepers need professional liability or errors and omissions insurance? Whether you’re auditing, accounting or running your own freelance bookkeeping business, you may not be required by law to carry liability insurance, but it’s always a good idea. E&O, Professional Liability or General Liability - What’s the Difference? When working in finance, errors and omissions insurance and professional liability insurance are the same thing. These are simply policies that can protect your work from being sued. In insurance parlance, professional liability insurance differs from general liability because it doesn’t cover the physical premises of your business but rather the output of your work. 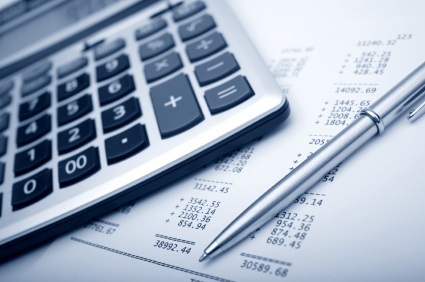 Let’s face it, bookkeepers deal in the most sobering aspect of any business - the bottom line. To you, numbers are being balanced on a ledger, but on the other side of those numbers are passionate entrepreneurs who are heavily invested in the results. Most bookkeeping professionals report that the when things are going well for a business, there is little chance of being sued. But when a client’s finances take a turn for the worst, it’s usually the bookkeeper who is the bearer of bad news and that can sometimes translate into a portion of blame. While bookkeeping malpractice lawsuits might be rare, it is certainly not unheard of and the result can be financially devastating to your business. You stand to suffer not only significant monetary penalties, but being sued brings stress and time wasted in court and preparations involved in proving your case. A liability lawsuit can be devastating to your bottom line and to your reputation. bookkeeping professionals, including accountants and tax preparers with a comprehensive EO policy at affordable rates. You’d be surprised to find out how little it costs to gain peace of mind for your business. Get a quote and let our insurance professionals help you build the right policy for you and your business.